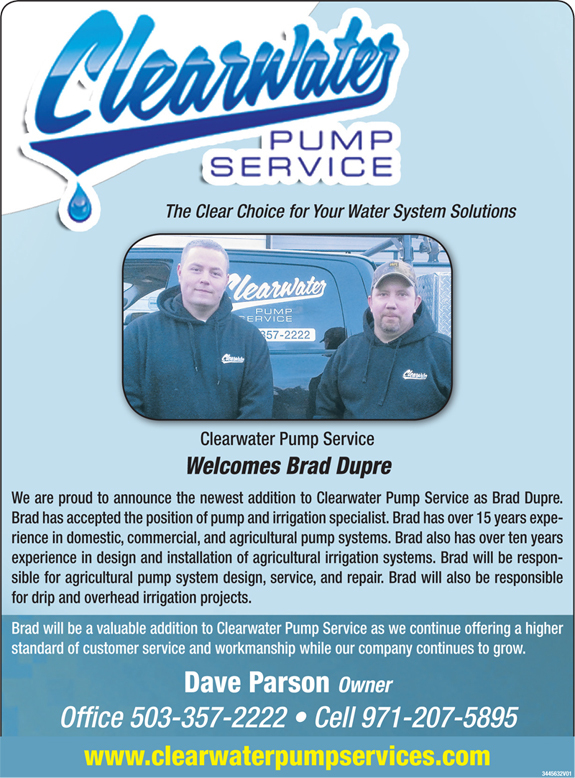 We are proud to announce the newest addition to Clearwater Pump Service as Brad Dupre. Brad has accepted the position of pump and irrigation specialist. Brad has over 15 years experience in domestic, commercial, and agricultural pump systems. Brand also has over ten years experience in design and installation of agricultural irrigation systems. Brad will be responsible for agricultural pump systems design, service, and repair. Brand will also be responsible for drip and overhead irrigation projects.